Do you have a daughter with ADHD? Having some kidlit picks that you can share with your daughter is important. Reading these recommended books aloud and together is a perfect bonding activity! It’s Just Me and My ADHD, Life Through the Eyes of a 10 year old girl: This book is an interesting story about ADHD from the perspective of a mother and her ten year old daughter diagnosed with ADHD. I think this book is unique in the way the information is presented with both perspectives. It’s Just Me and My ADHD is a both a wonderful read for families who have children with ADHD and educators to understand how ADHD affects a child’s every day life both academically and socially. It can also be used to help a child advocate for themselves and be proud and confident of their abilities. This book is a quick read so it can read aloud or together and then discussed. To purchase, click here. Check out the author, Jennifer Thomas’ website, ADHDaze, Raising a Family Touch by ADHD. Jen shares valuable information and resources for families and is also a strong advocate for children with ADHD. Read this touching article written by Jennifer on ADDitude here. Get Ready for Jetty written by Jeanne Kraus and illustrated by Sandra Kimbell is a book written in a diary form about a girl named Jetty. Jetty is in 4th grade and has been recently diagnosed with ADHD. Throughout the book she discusses in the first person perspective, her thoughts and feelings about her diagnosis of ADHD and how it affects her both in school and at home. This book, which is written from Jetty’s point of view, is not only funny but forthcoming with regard to her challenges about being disorganized and unable to focus at times. In the beginning of the book, she struggles with organization, staying focused and making good friendships with others. With various strategies and interventions, Jetty learns how to meet her long term goals such as having better time management, being organized with her backpack, turning in homework on time, remembering her school work, following directions and using her planner to help her with reminders and homework assignments. The variety of text and pictures can keep a child engaged in the story but can also be read jointly with a parent. To read the full review, click here. As an “out of the box” mom, I appreciate and enjoy any books that celebrates children’s differences and empowers them to be who they want to be. When I saw This is NOT The Abby Show on my Twitter feed, it immediately caught my eye. I love books for older elementary school students that combine humor, academics and real life experiences into an engaging and heartwarming story that children can relate to. This is NOT The Abby Show is about a 7th grader named Abby that is twice exceptional. She is brilliant at math and science but struggles with English. She can’t wait to spend the summer learning theater at Camp Star Lake for the Performing Arts. However, her plans are changed when she gets sent to summer school because of her poor grades in English! At first she is angry at being at summer school until she finds good friends and learns some valuable lessons about life, friendship and being unique. I love how the author discusses “difficult to talk about” issues in a way that is casual, funny and meaningful all at the same time. ADHD is an attention deficit and hyperactivity disorder that can affect individuals in different ways. To read the full review, click here. 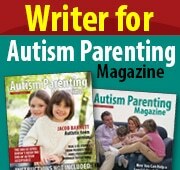 I also wanted to share Penny Williams website, Parenting ADHD and Autism. Penny Williams in an author and advocate for children and families who are touched by ADHD. Penny has weekly podcasts about important parenting topics as well as opportunities for parent retreats. Check out her website to access courses, podcasts, a link to buy the books and much more. To check out my podcast with Penny Williams about repeating kindergarten, click here. Are you looking for parenting books? Check out Dr. Jim Forgan’s book, Raising a Girl with ADHD. To learn more about Dr. Forgan and his practice, click here.